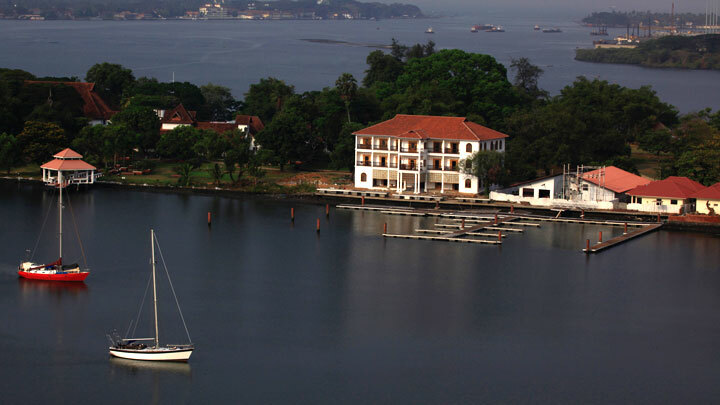 Near the historic town of Fort Kochi in Ernakulam district, the commercial capital of Kerala, is the Bolgatty Island. This lush, lovely island is famous for its palace of the same name. The Bolgatty Palace, built in 1744 by the Dutch and later taken over by the British. Today, it is a premium hotel run by the Kerala Tourism Development Corporation (KTDC) Hotels & Resorts, with a small golf course and special honeymoon cottages. India’s only international marina, Kochi International Marina, is situated in Bolgatty. The marina provides berthing facility for 34 yachts and also offers services like water, electricity and sewage pump-outs. Overlooking the backwater, Cochin seaport, Vallarpadam container terminal and the Arabian Sea is the Bolgatty Event Centre, the venue is ideal for conducting International conferences, Conventions, Exhibitions, Meetings, Wedding receptions and Theme dinners.